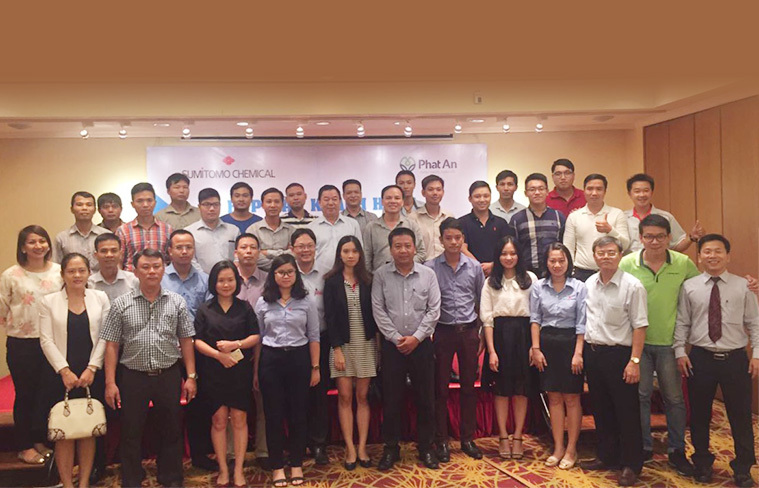 We are honoured to have Dr. U Zaw Lin, Deputy Director of the Department of Public Health Myanmar to be our guest speaker on Sept 2017 to share his stronger partnership approach for entomology and vector control strategies in Myanmar to ensure continued progress in the fight of mosquito-borne diseases. 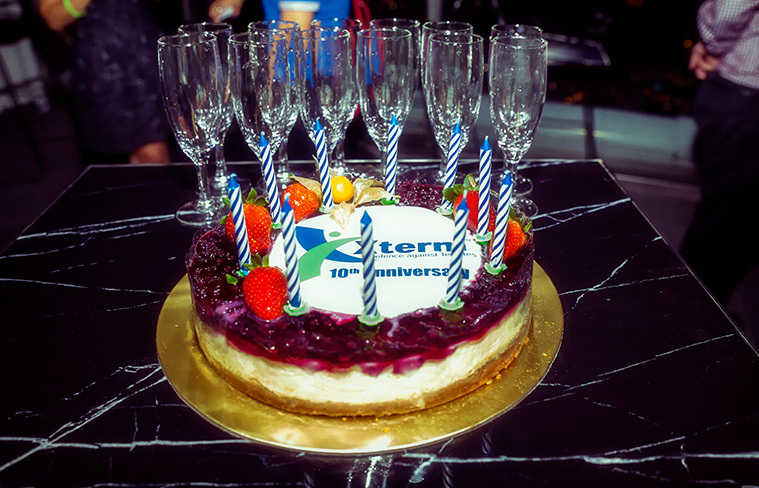 Sumitomo celebrated the Xterm 10th Anniversary in Singapore at 1-Altitude , which is World Highest Alfresco Bar and one of Singapore’s best rooftop bars with a 360-degree view of the city together with all Authorised Installers. 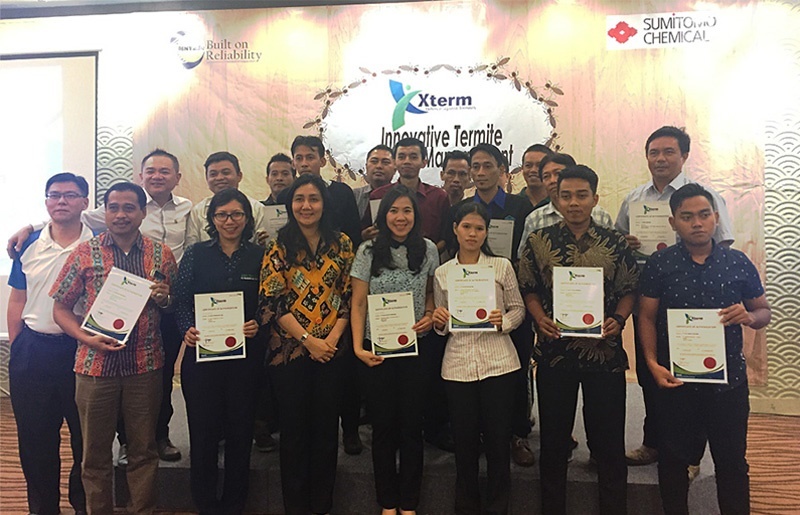 Xterm was firstly launched in Singapore since Feb 2007 and it’s the No.1 fastest termite colony elimination baiting system. 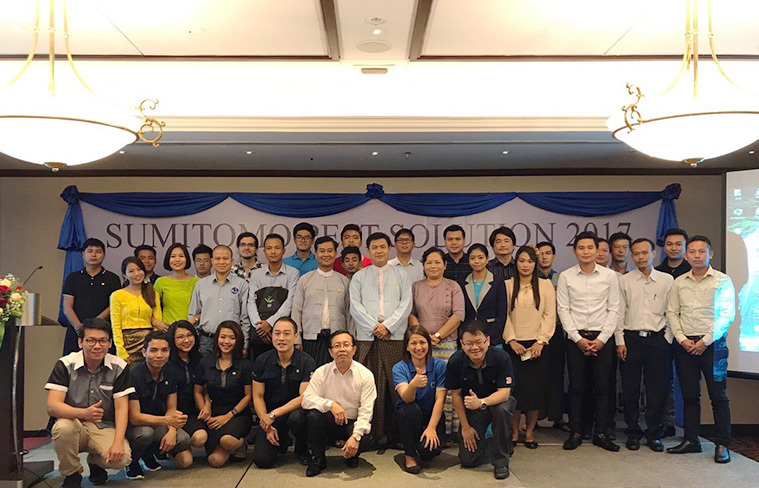 Sumitomo Chemical and local distributor, Suren Cooke jointly organised the product launching for Gokilaht-S 5EC & Sumithrin 10SEC as well as to provide latest information, innovation and technology to the pest management industry. 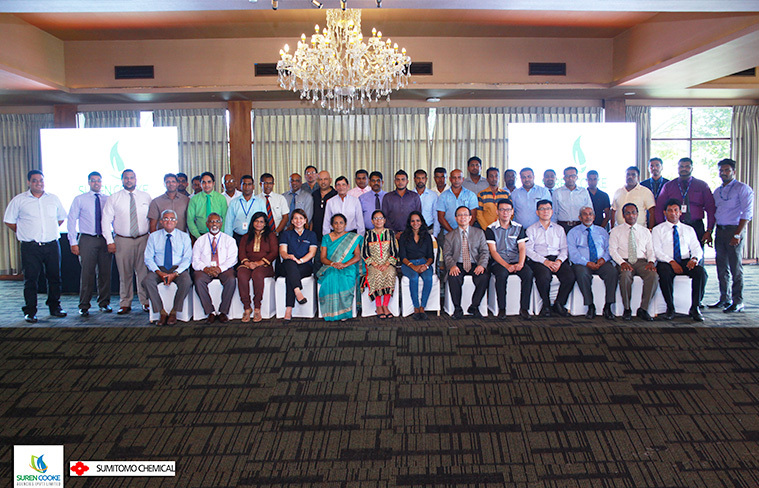 The event held on 13 & 14 July 2017 at Water Edge Battaramulla, Sri Lanka. 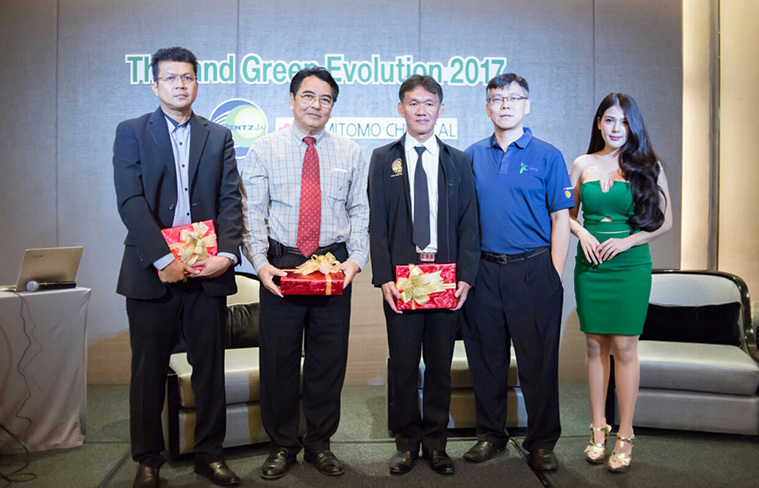 Green Evolution Seminar 2017 was great success which jointly organised by Sumitomo Chemical and Bentz Jaz Thailand on 29 June. The invited speaker Mr. Khwanchai Charoenkrung from the Royal Forest Department, Thailand presented “Why PCOs have to use Xterm Termite Baiting System” to share his knowledge and experience. We look forward to running another successful event in the near future 2018. 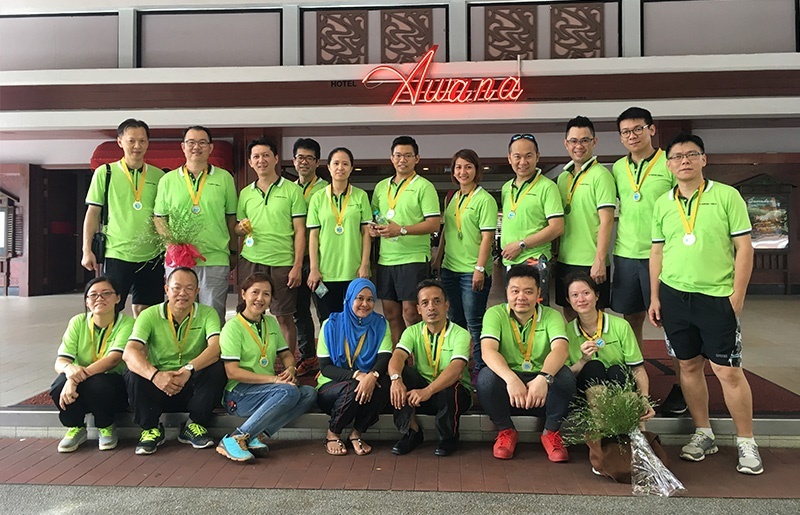 Sumitomo and Malaysia Xterm authorised installers jointly organised Xterm Green Charity Walk, followed by annual meeting in Genting Highlands. 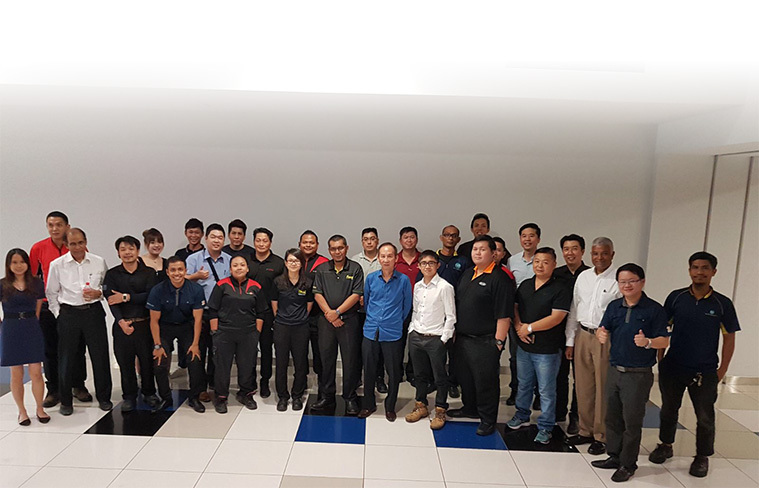 Xterm workshop was held with local distributor, Bentz Jaz Indonesia at Jakarta Design Center (JDC).